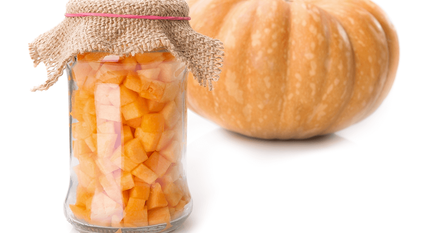 Preserve the best flavors of fall with this Pickled Butternut Squash recipe. It's somewhat unusual to pickle hard squashes like butternut or acorn, but it is actually a very nice way to use them. The butternut pickle is firm and crunchy, and the you can play around with the seasonings to your taste. Serve these with braised meats, stews or chopped up and mixed with couscous as a side dish.